Georgene Gay Hickle Fannin, 72, of Garrison, passed away Thursday, February 21, 2019, at Southern Ohio Medical Center in Portsmouth, Ohio. She was born September 15, 1946, in Lewis County, a daughter of the late George Martin and Carrie Opal Scott Hickle. 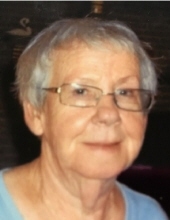 Georgene was a member of Garrison Methodist Church and she enjoyed reading, walking, watching TV and spending time with her family and grandchildren. Georgene is survived by her husband of 42 years, Joseph Preston Fannin Jr.; four sons, Matt Yates (Angie) and James Patrick Fannin (Jackie), all of Black Oak, Joey Fannin III of Eldorado, Arkansas, and John Paul Fannin of Portsmouth, Ohio; one daughter, Rebecca Clark (Steve) of Quincy; one brother, Roger Hickle of Garrison; 14 grandchildren; and several great-grandchildren. She also leaves many other family members and friends who will sadly miss her. In addition to her parents, she was preceded in death by two brothers, Jerome “Jerry” Hickle and Alan Dale Hickle; and three sisters, Beverly Hickle, Judy Hickle, and Gail Hickle. Services will be at 11:00 a.m. Tuesday, February 26, 2019, at Garrison Methodist Church with Bro. Tim Anderson officiating. Burial will follow in Waring Cemetery. Friends may visit from 6:00 p.m. until 8:00 p.m. Monday, February 25, 2019, at Globe Family Funeral Chapel, 103 Dudley Avenue at Garrison. Pallbearers will be Carl Marshall, Jessie Burriss, Tommy Buckner, Chris Hickle, Taylor Hickle, Elmer Gayheart, and Anthony Gayheart.